Greetings vaqueros! 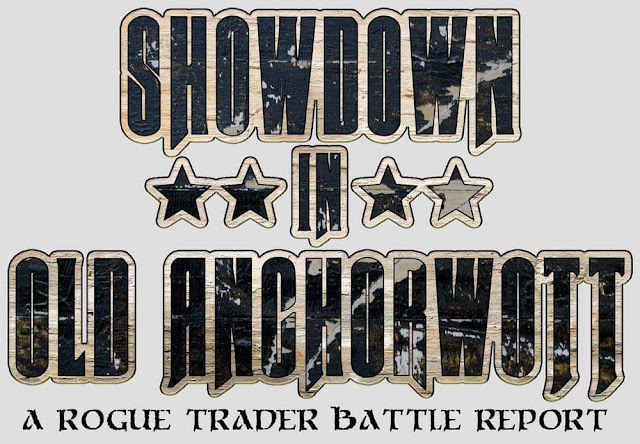 Today we'll be looking at the battle report from a game of Rogue Trader played between Mr Papafakis, Salem of The Vampire's War Diaries, Christian of 'an inconvenience rightly considered' and me, ol' Crooky Crook. Please enjoy! Greetings vaqueros! Today we'll be celebrating the end of the 21 year career of the 2nd edition Ork Warbuggy! 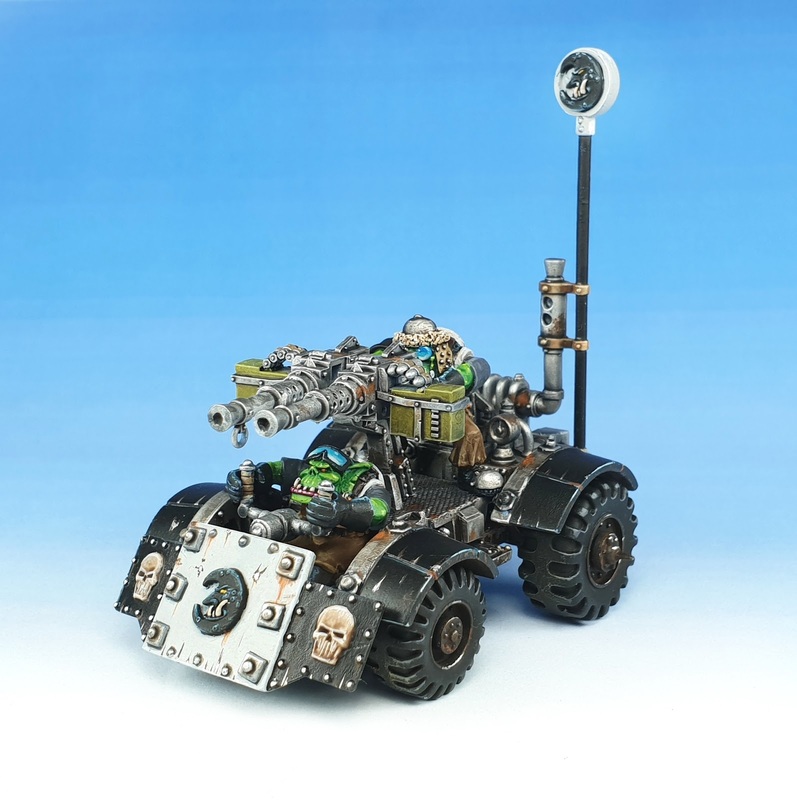 Greetings vaqueros! 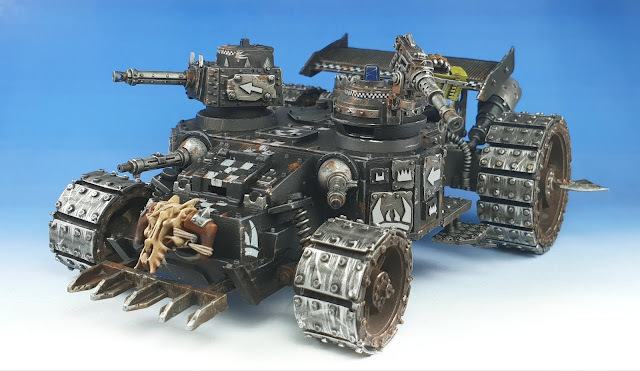 Today I'm going to show you this RT battlewagon that I've converted up partially using the plans laid out in White Dwarf no.131. Greetings vaqueros! 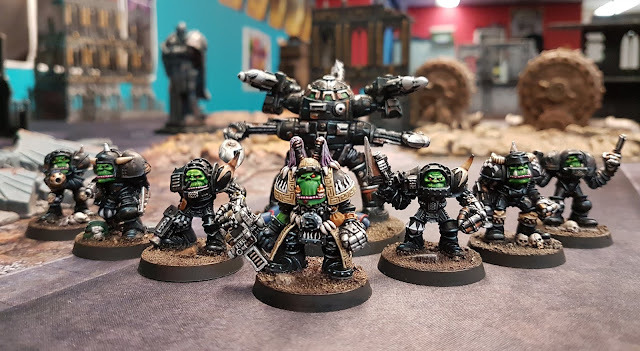 Today we'll be looking at this unit of ork nobz in mega-armour I've painted for an up-coming gaming event. Greetings vaqueros. Today I'm going to be talking to you about a serious matter - the Skeleton Agenda. Greetings vaqueros! Today I'll be showing you some forest goblin archers I've painted up to be scouts for my Dragon Rampant forces. Greetings vaqueros! 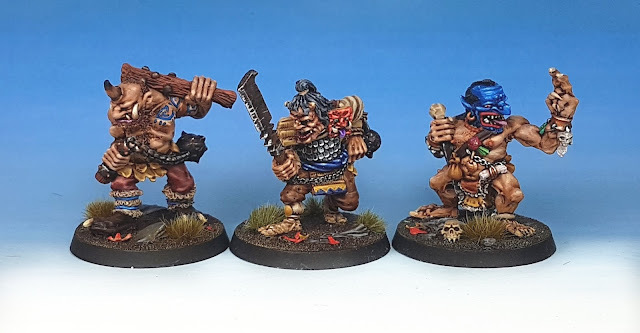 Today I'm showing you a trio of oriental themed ogres from the Jes Goodwin C-series range, that I've painted up for my Dragon Rampant project.